Open House Sunday Sep 9, 11:00AM – 1:00PM – MLS-1001564800 – Purchase includes an 8’9″ inflatable boat and motor. Water/sewer/trash/and flood insurance is included in condo fee along with exterior maintenance. This unit is turnkey except Seller is excluding from the sale, the print in the living room, ”Ghost of Crisfield Past”. Freshly painted, new engineer wood flooring throughout and new refrigerator. Walk to local restaurants and shops. Cooking is made easy in the gourmet kitchen, featuring spacious countertops and breakfast bar. There is also a dining table adjacent to living room. 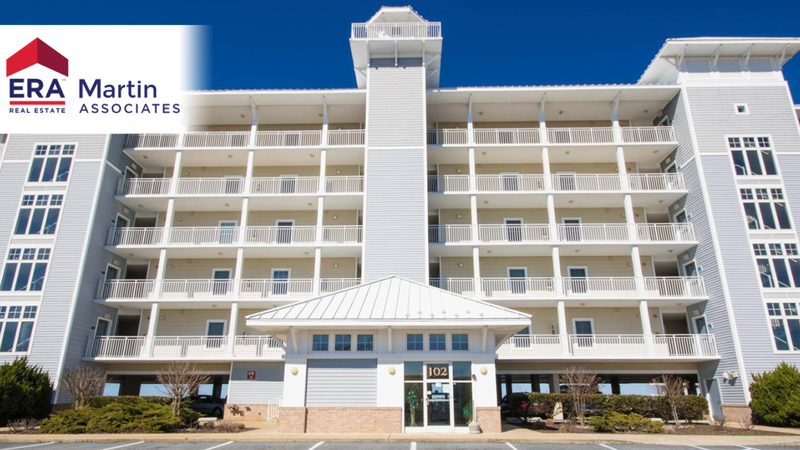 The complex features a beautiful bayside heated pool, kayak launching area, boardwalk and covered parking. Boat slips are available for purchase separately. Contact agent for contact name and number for owner of slips.